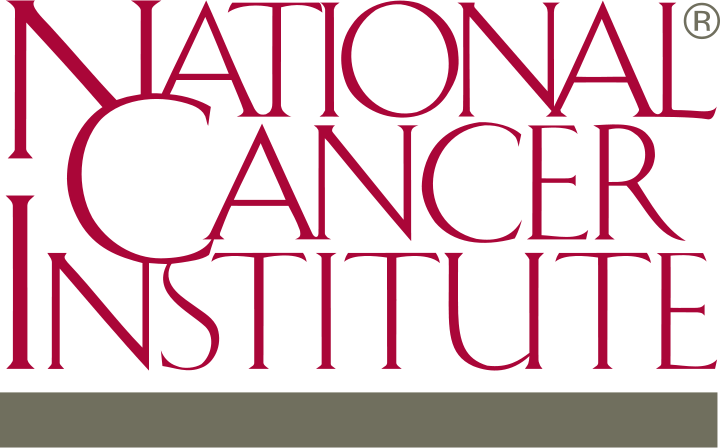 Cancer-targeted molecular probes have the potential to revolutionize surgery and diagnostics. Offering unparalleled flexibility and outstanding performance, FIRE epitomizes the cutting edge of this technology. 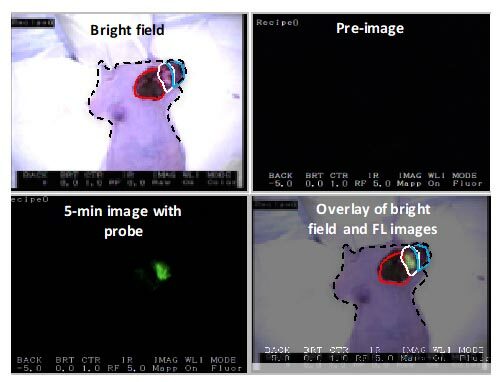 FIRE’s quenched, substrate-based probe (qSBP) technology guides surgeons by ensuring probe signal is only seen when cancer is detected, clearly delineating tumor tissue from healthy tissue and virtually eliminating spurious background fluorescence common in other probes. Human breast adenocarcinoma cells were implanted into the chest of an immunocompromised female mouse. When an appropriate size tumor was achieved, the tumor was surgically exposed and FIRE was topically applied to the tumor area (white circles) and adjacent normal tissue (red circle). 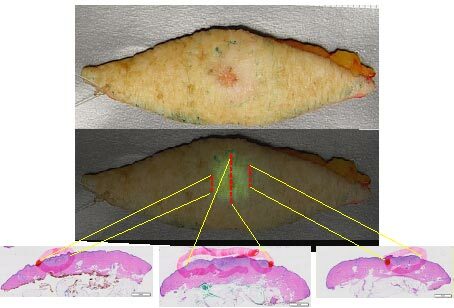 Solvent was applied to the other half of tumor tissue (green circle). After 5 minutes both probe and solvent were removed, tissue was rinsed twice with saline and imaged using the Akrotome handheld camera. Upper right panel preimage indicates no background fluorescence. Lower left panel indicates robustness of signal achieved five minutes after topical application. Living animal under isofloran anesthesia was used for the imaging. FIRE was topically applied to a resected skin cancer sample. After 10 minutes incubation the imaging device was used to assess probe activation. Directed histological sections were used to correlate cancer (red circles lower panel) to fluorescence signal, overlay data middle panel. Pathology demonstrates good correlation between the location of fluorescent signal and pathologically confirmed cancer.